Ellen Degeneres has launched a new limited edition box full of her favorite things. And each box gives back, too. This first box has sold out. But you can get on the waiting list here for the next one. FYI MSA Insiders helped give feedback on the product curation during the initial market research of this box. You can learn more about the MSA Insider program here. Inside the box is a message from Ellen about the Ellen Degeneres Wildlife Fund. First, how lovely is this packaging? Jewelry in subscription boxes often comes in bags, so getting this kind of presentation is a treat! And if you don’t plan on keeping this, it would make an amazing gift, too. And thanks to MSA reader Adele, I learned that this is the necklace Liz Lemon wore on 30 Rock! Who’s got two thumbs, speaks limited French, and is even more excited about this necklace now? This moi! I normally go for gold jewelry, but this piece is delicate (which I love) and the high-quality sterling silver doesn’t hurt either! 🙂 I’m digging it! This stone diffuser is made with a hand-milled, ceramic cover and contains an easy-to-clean water basin made of BPA-free, high-grade plastic. To use it, you mix a few drops of the essential oil of your choice with water and fill the basin. Then put the plastic cap back on, and the stone black cover over it. I absolutely love the simple, matte black design. It looks great in our home, and I think it will work well with most styles. This oil is 100% pure essential oil and certified organic. Lavender is one of my favorite scents, so this was a perfect addition for me. I love the scent on its own, but if you have any suggestions for which essential oils blend well with lavender, please let me know! These socks are 68% Cotton, 28% Nylon, 2% Elastane, 2% Polyester, and made in the USA! The fun colors feel very appropriate for an Ellen box, and I’m always happy to see socks in a subscription box! These are gluten-free, non-GMO, and only 180 calories a bar! (I try to always keep a 200-calorie-or-under snack in my bag, so these are perfect. We make ridiculously delicious snack bars, but we’re not really a snack bar company. Our mission is to end childhood malnutrition worldwide. To do that, we developed a simple giving model – we sell the best snacks, so we can give the best life-saving nutrition. We work with experts in the field who deliver that nutrition where it’s needed most, both domestically and abroad. Every time you buy a bar, we give food aid to a child in need. One for one. And these bars are delicious, too. They’re nice and crunchy (without being so crunchy you worry about your teeth), and not too sweet, either. During the month of September, for every Compassion Flower Hand Soap sold, we’re giving a Growing Compassion Gardening Kit to a classroom —up to 1,000 across the country —giving hardworking teachers a hand. Each kit contains a lesson plan for teachers and the tools to complete a garden-based activity, so students can plant their very own Compassion Flower and watch it grow. And with this card I’m giving back to the Mountain Gorillas! You’ve helped save a mountain gorilla’s life by building their permanent home in Rwanda. There are about 1,000 mountain gorillas alive today whose lives are threatened by loss of habitat, disease, and getting trapped in snares set for other animals in the forest. Verdict: This box has a retail value of over $300. I think that’s great for a $54.99 box, especially one that includes a pricey home item, and a sterling silver jewelry piece. (Of course, if those two items aren’t for you, this box may be a miss.) I think the curation focused on quality, and I hope to see that continue with future boxes. And I love the giving back piece of this box – it’s awesome and it feels so authentically Ellen. What do you think of the first Be Kind Box? Ca we expect to find a cherrio box in each new be kind box ? Ca we expect to find a cherrio box in each new be kind box ? Are was that just for the 1st one? I am wondering the same thing. Any update on if this is going to be a regular box????? Yes. Ellen is starting her own sub box sometime in the future but when isn’t known yet. I just got an email that it’s now an ongoing sub! I signed up (I think, no confirmation yet)! Yes! I got the notice and invite as well. I signed up! I just was checking my credit card and saw the November 20th charge. At the time I tried to order the box, I never received a confirmation that the order went thru. A pending transaction showed for a few days (I know that is normal) but then that disappeared. So that and the info from here that it sold out made me think I just missed out on it. No biggie, just a little extra for college granddaughter. Now the charge appears, I contacted gd to see if she got it. NOPE. And I send her alot of boxes and she always let’s me know when they get there. I contacted customer service-after having to search for email address. All they reply is I was only charged once. Yeah I knew that. But I sent back another email stating I was charged for a box I DID NOT RECEIVE! The amount if the box is not a small amount to just say oh well, no problem. For and organization the size of Ellen DeGeneres, this is totally unexceptional! For myself, I will go as far as posting on her Twitter, Instagram, whatever to get this resolved. Their customer service is poor, no confirmation or tracking to show me it was even sent. I would never ever subscribe to anything by her ever. Please let me know if others are having the same problem of no box but being charge and how you are handling it. Thanks! I got a charge in November, too, but I did order a box prior to seeing the contents. Has there been a resolution for people, so that they can share how people can contact, whom to call, etc? Did anyone else notice a charge from Ellen Be Kind on their credit card statement this month? Yep and I have talked to them more than once and nothing has been done about it I am pissed! I know that noone is probably reading this right now, but I am totally upset. I have been charged AGAIN on November 20,2018 for another box that does not exist. This is supposed to be a one time thing, right? Ridiculous. They need to fix this. I have not been personally affected by this mess but I am sure @shakingmyhead that staff in My Subscription Addiction are reading all the messages in this thread and they will help members to get a refund. 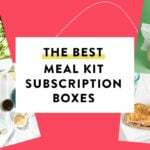 Such a bad organization from this subscription box with Ellen’s name! I know I saw the charges for my two boxes I ordered charged on my credit card back in October. Now they are not there on my statement. They are saying these charges I am seeing are from the October boxes and they are just now being charged. If this is going to be a regular subscription, they better fix that. Does anyone see their charge from October and if it’s labeled differently than this one? This charge was labeled the “BEKINDBOX” for me. I bought 2 boxes when they first came out and now I have been charged again! I thought this was a one time box? Anyone else have this happen? I was charged today as well. I emailed them through the website. If I don’t hear back by Monday, I’ll call. I had finally got a reply saying they were working on this issue and would be done in a few hours. Well that was hours ago and have not heard anything since. Does anybody have a number to call? I should have been more on top of it but I had two damaged items, and now they are not answering emails, I’m just getting a generated reply. SO frustrating! Has anyone gotten a response/resolution about getting charged for another box in error? I just saw a new charge from them as well but no notification of a new box. I guess we need to contact customer service. I’d love to get another box from her. Thank you for the heads up and contacting customer service! Yes I just got charged this morning too! I’m so confused and a little disappointed 😔 I hope they fix this! I was charged this morning too. I’m glad I saw these comments, I don’t normally monitor charges as closely as I should. Please post if you contact customer service or hear anything. I emailed right after the charge appeared, but haven’t heard anything back. I also tried to manage my subscription from the site, but that doesn’t seem to be an option. Which makes sense, as this was not a sub, or so I thought. Will post back if I hear anything. Oh my gosh. I got charged as well. I know I had a charge back in October. Now I went back and don’t see it on my statement. Very strange indeed. I am concerned though. 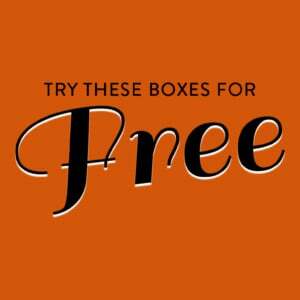 I’m interested in purchasing a box from anyone who no longer wants there’s and could not cancel. I also would buy someone’s box that didn’t want it. OR at least the diffuser for a reasonable price. I really hate I missed this one. I just got my Ellen box. I came SUPER FAST. The diffuser is AAAAAAAHHHHHHmazing. I don’t like the smell of lavender but tried it anyhow. The necklace is ok. Why they didn’t put “Be Kind” inst ad of “Love” is odd. It’s quite heavy too considering the size. And hose snack bars are SO GOOD! I’m ordering a box from Target. This was a really awesome box. Can’t waitnto subscribe. Oh, and the soap? FULL SIZE! Off topic here….I wish they’d change this format so you didn’t have to scroll all the way to the bottom of the comments just to post. I am totally with you on your last comment! Would love to buy the whole box from someone! Hello @lizcadman, is there a way to sign up for notifications regarding the Ellen box (if and when it happens)? I can’t seem to find that option. Thank you, S.
I just got my box, what a treat to open! It is very well packaged, and so nicely curated. I love the diffuser and the necklace, they are totally with the cost of the box for me. I’m glad they included a great and socks, as well. I’m really happy with my blind purchase before the spoilers were out. The whole box is amazing! I got my box today too! Absolutely love it! The necklace is small but the silver disc is solid and the diffuser design is lovely. Plan on using everything but maybe the socks. I am getting on the list for the next box. I loved the box…all the items felt high quality on I appreciate the undercurrent of giving back. It felt very on brand for Ellen. I am wondering if this was the first subscription box purchase for some people. They do work differently than retail, so maybe some people weren’t used to it. If anyone would like to swap the diffuser for the necklace, click on my name to get to my swap page and send a request. Thanks!